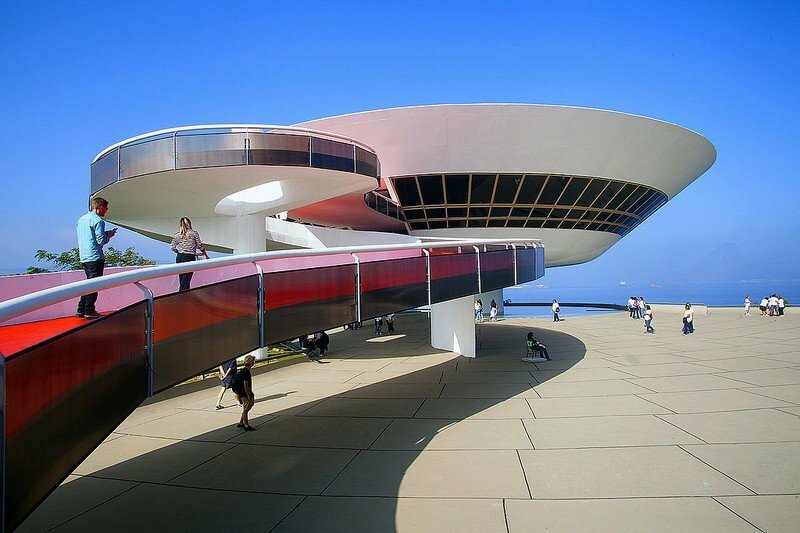 The MAC Niterói was one of the last projects carried out by the great Brazilian modernist architect Oscar Niemeyer. 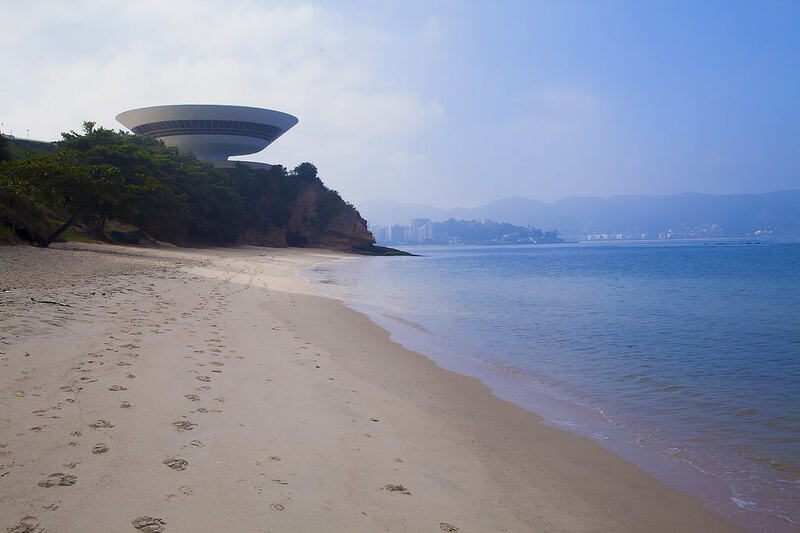 Completed in 1996, the UFO-shaped structure is located on a rocky promontory on the edge of the city of Niterói, in the state of Rio de Janeiro, and lies just across the Guanabara bay from the city of Rio de Janeiro. 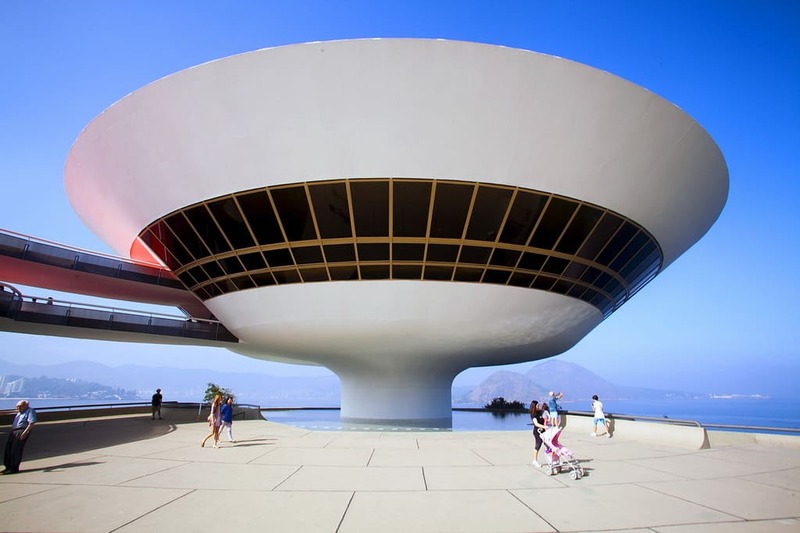 With the project arising close to the end of his life, Niemeyer had the help of his daughter, Anna Maria Niemeyer, who initiated the project in 1991, after approaching the mayor of Niterói to offer support for a forthcoming exhibition of the artist João Sattamini in the city. 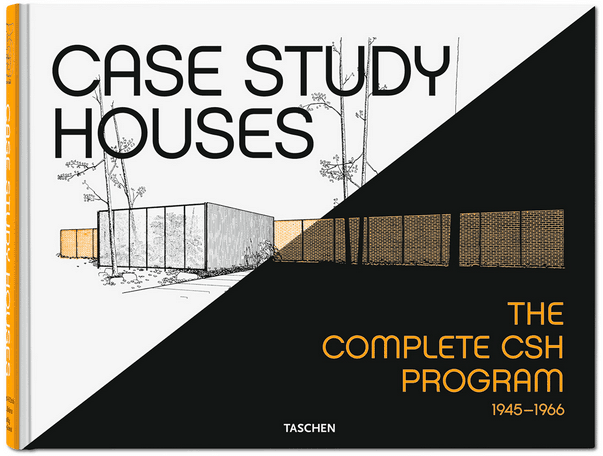 The mayor’s enthusiasm, permitted the Niemeyer’s to produce a quite remarkable structure. 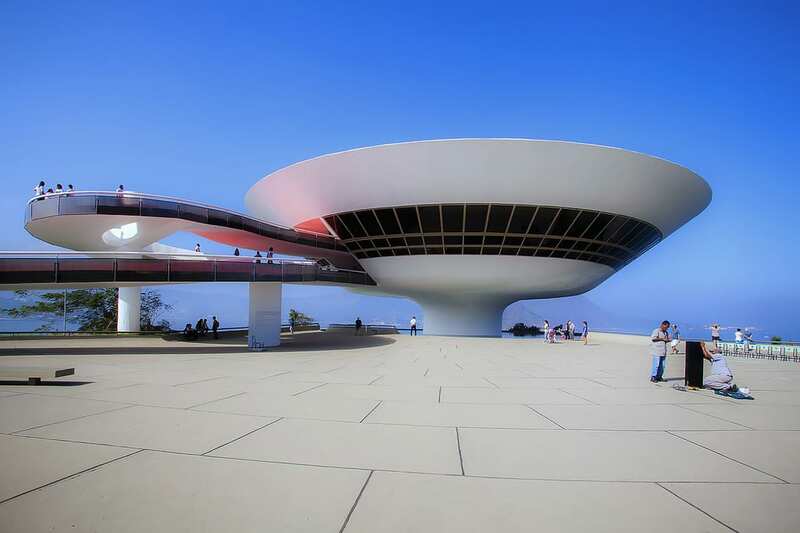 Given the difficult terrain on which it is situated, Niemeyer’s intention was to have the building bloom, flower-like from the promontory. 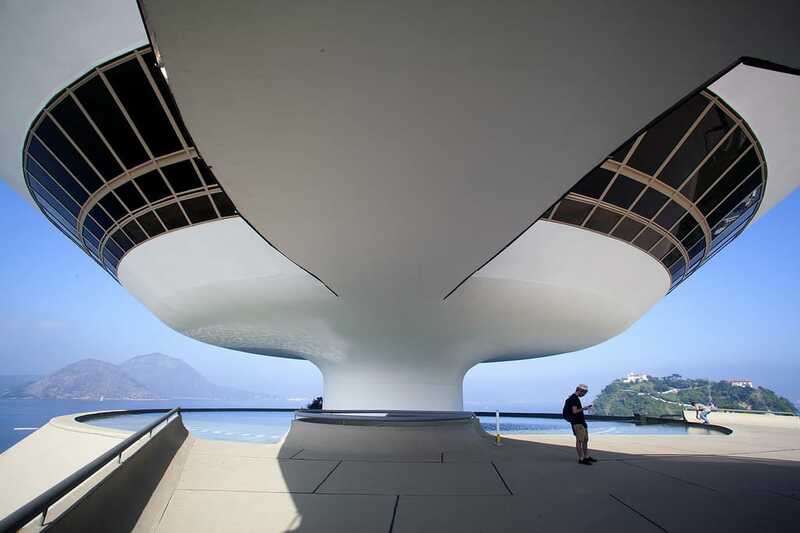 The effect is a building whose central space is a masterclass in lightness, offering up 400 square meters of column-free exhibition space, and, with its inverted dome, awesome panoramic views of the city of Rio de Janeiro across the water. 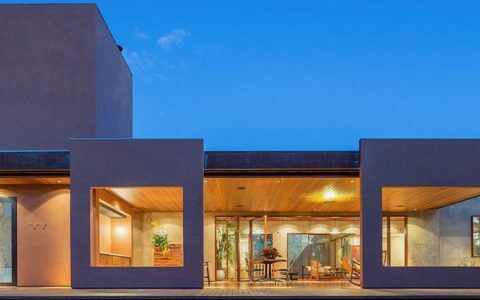 The building features four levels, one below ground and three above. A bright red ramp, curving around for almost 100 metres, leads up to the building’s entrance. Notably, this ramp opened out in the direction of the city’s slums. 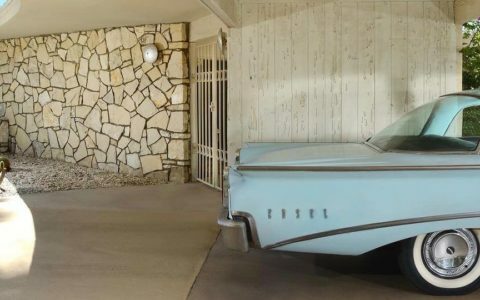 With the building’s intended function being to house contemporary art, not typically the most accessible areas of culture, it was a noble attempt to offer up the artistic riches to a wider than normal section of the city’s population. In this vein, the building is, of course, reminiscent of a trend which really gathered steam a year after the MAC was built, with the completion in 1997 of the Bilbao Guggenheim. 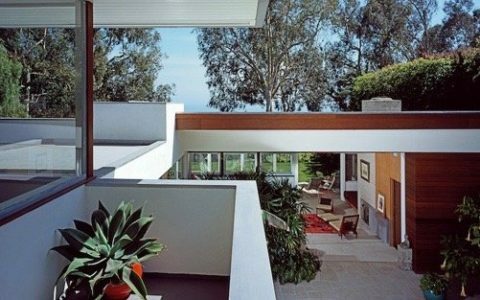 In this sense, this building underlines that Niemeyer continued to be ahead of the curve until the end.